Childproof home safety tips - Rose & Womble Realty Co.
Childproofing your home is essential to keeping your baby safe. Be prepared to childproof many areas of your home. 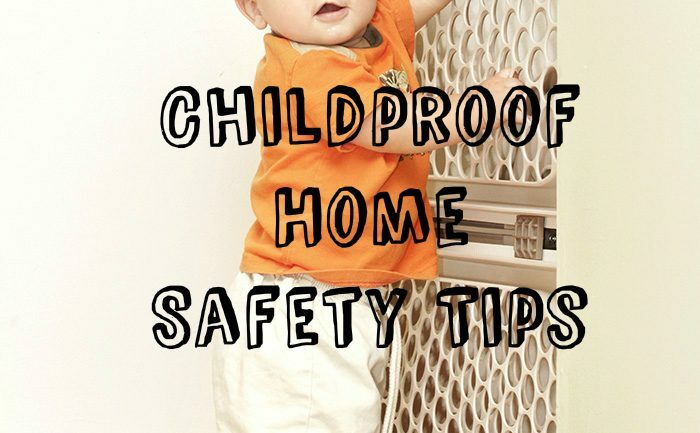 Here are a few childproofing tips. 1. 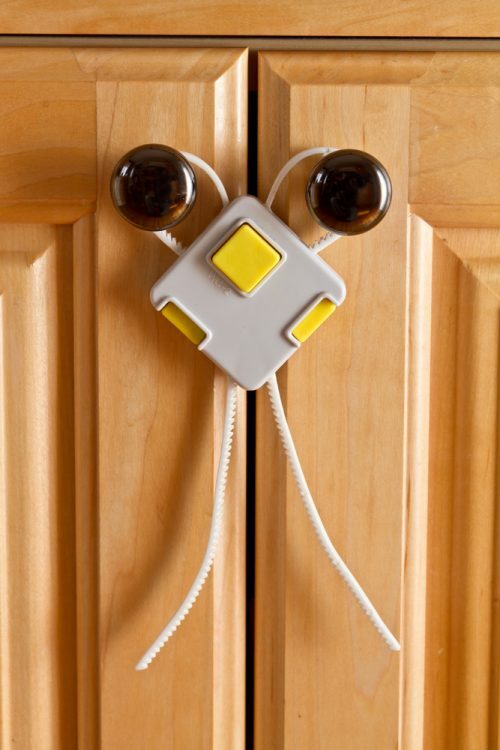 Use Safety Latches and Locks for cabinets and drawers in kitchens, bathrooms, and other areas. 2. 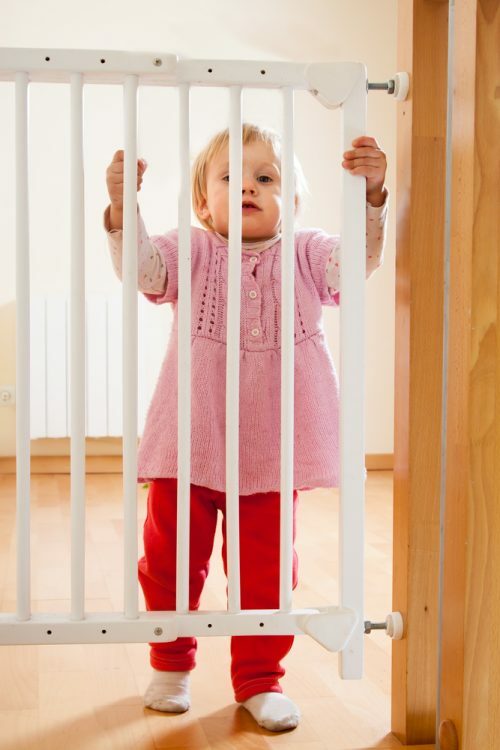 Use Safety Gates to help prevent falls down stairs and to keep children from entering rooms and other areas. 3. Use Door Knob Covers and Door Locks to help prevent children from entering rooms and other areas. 4. Use Anti-Scald Devices for faucets and shower heads and set your water heater temperature to 120 degrees Fahrenheit to help prevent burns from hot water. Anti-scald devices for regulating water temperature can help reduce the likelihood of burns. 5. Use Smoke Alarms on every level of your home, inside each bedroom, and outside sleeping areas to alert you to fires. 6. Use Window Guards and Safety Netting to help prevent falls from windows, balconies, decks, and landings. Check these safety devices frequently to make sure they are secure and properly installed and maintained. 7. Use Corner and Edge Bumpers to help prevent injuries from falls against sharp edges of furniture and fireplaces. Be sure to look for bumpers that stay securely on furniture or hearth edges. 8. Use Outlet Covers and Outlet Plates to help prevent electrocution. Be sure outlet protectors cannot be easily removed by children and are large enough so that children cannot choke on them. 9. Use a Carbon Monoxide (CO) Alarm to help prevent CO poisoning. All consumers should install CO alarms near sleeping areas in their homes. Change batteries at least once a year. 10. Use Cordless Window Coverings in homes with young children, in order to help prevent strangulation. Children can wrap window covering cords around their necks or can pull cords that are not clearly visible but are accessible and become entangled in the loops. 11. Use Anchors to Avoid Furniture and Appliance Tip-Overs. ranges. 12. Create barriers completely surrounding pools or spas with a 4-foot tall fence with self-closing, self-latching gates. Most of these safety devices are easy to find and are relatively inexpensive. You can buy them at hardware stores, baby equipment shops, supermarkets, drug stores, home improvement stores and on the Internet. To be effective, they must be properly installed. Follow installation instructions carefully.